Are the days of brick-and-mortar banks numbered? According to research from TD Bank, a national bank founded in Maine in 1852, 88 percent of Millennials (those aged 18-34) use online banking for bill paying and other financial transactions. These 88 percent identified as Internet users and half of those Millennials surveyed pay monthly bills, withdraw money, and deposit funds using a mobile device like a smartphone or tablet. The survey, conducted in February, shows that Millennials are also using online banking more in 2014 than in 2013. Over half responded that they are using mobile banking more often and approximately 50 percent answered that they were also using online banking more this year. Why the increase in 2014? The Millennials surveyed said that it was because of greater convenience. Among the advantages the 18-34 year-old age group shared was that it’s a time saver (roughly three-quarters indicated this) and the same number of Millennials said that being able to bank at any time of day, any day of the week, was a benefit to them. Not only is mobile banking popular among Millennials, it might be even more popular than social media. Money magazine recently polled the United States for their “Americans and Their Money” series and found that 47 percent of the U.S. prefer checking our bank balances over checking our social media accounts. 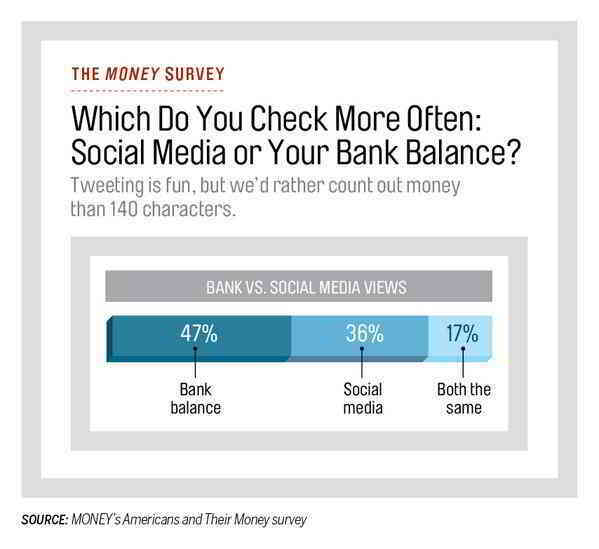 They also found that 17 percent of Americans check both, showing that we still find our finances more important (or in some cases, as important) as checking Twitter or Facebook. Even though Americans are interested in keeping an eye on their finances, it’s more likely that those in the 18-to-34 age group will be the ones to use mobile banking over other forms of banking. However, as the Millennials come into their own, and “Generation Z” (those born after the Millennial generation) comes of age, it’s just as likely that these groups will use online and mobile banking in conjunction with visiting their local bank branch for expert help. Only nine percent of the respondents in TD Bank’s survey indicated that they looked for financial advice using the bank’s website or mobile app. This shows that when it comes to learning about the best way to handle money, the best source of information come from talking to someone one-on-one. 3 credit bureaus. When pulling a consumer credit report it does not affect your credit scores. The lenders will advance him finance, but never at favorable terms and conditions. TҺank yoս for providing these details.